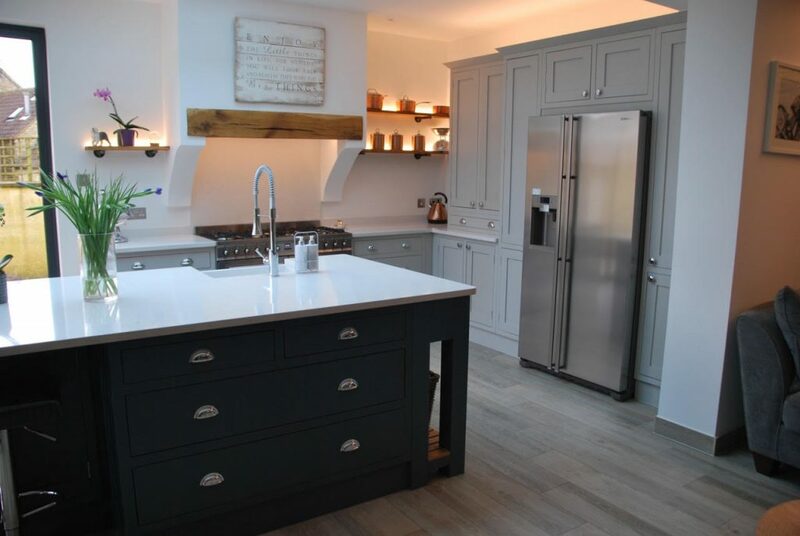 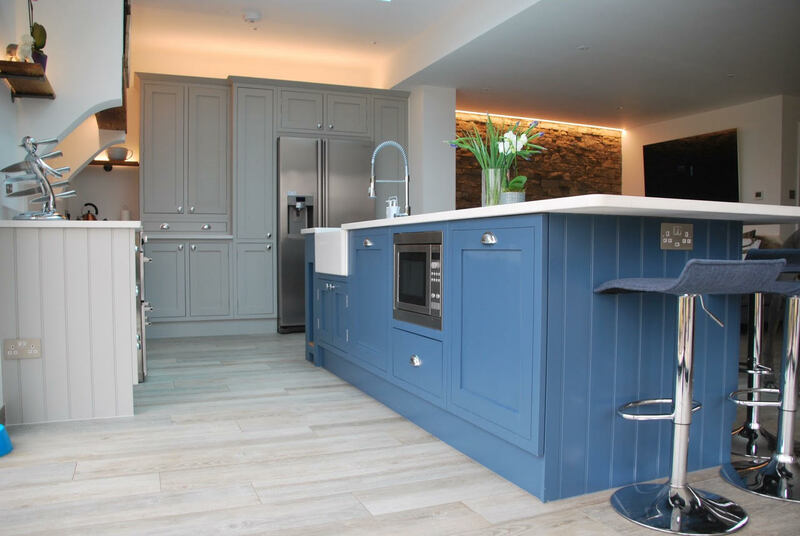 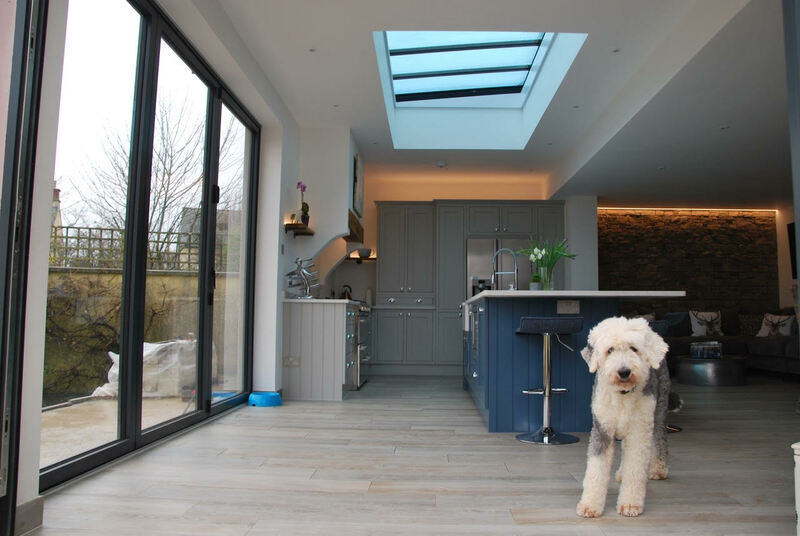 The clients brief was to create a large open plan kitchen and family room that would take advantage of views to the garden and provide the family (and dogs) seamless inside/outside living. 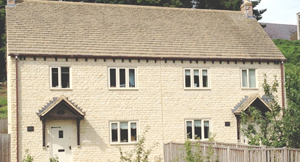 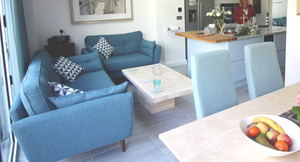 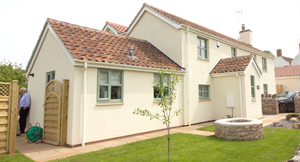 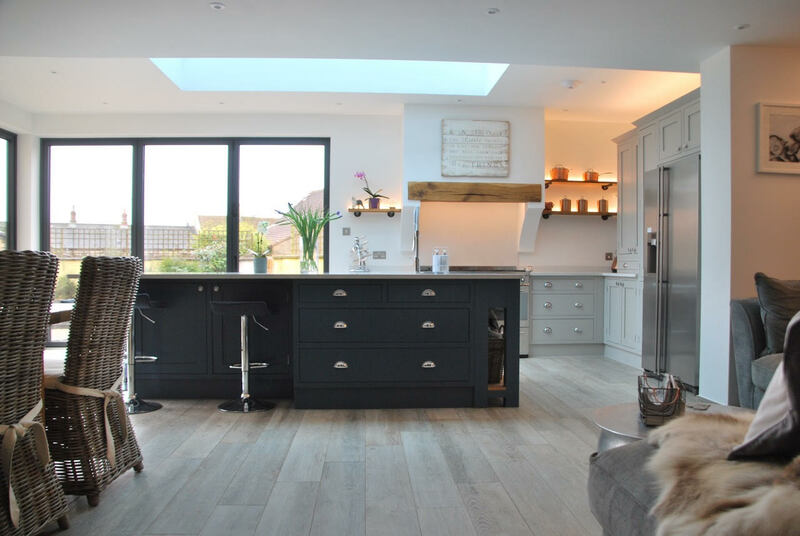 To achieve this we knocked the existing kitchen and dining room into one then extended to the rear. 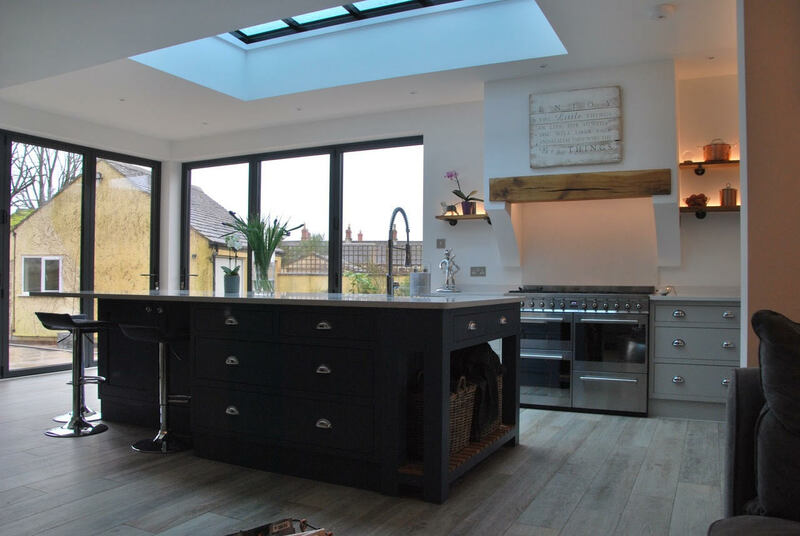 Maximising light was key to the success of this project so the corner bi-folding doors and large flat roof light were the perfect luxury additions.